Tentura is the traditional local drink of Patras. 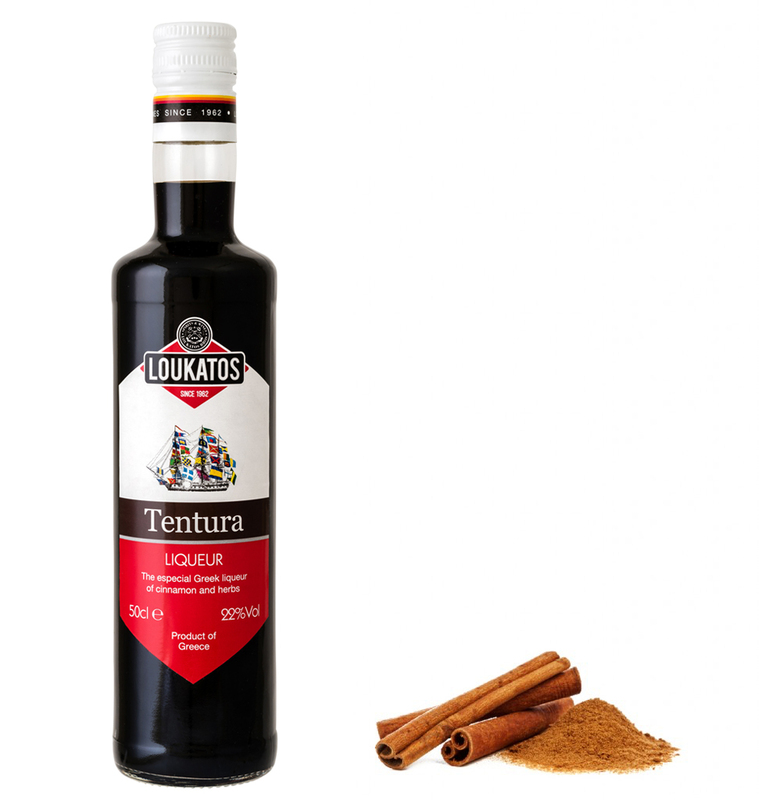 LOUKATOS TENTURA based on a traditional family recipe, stands up for its unique taste and strong aroma. The reason for its dark brown color and its aroma is the use of various spices (cinnamon/nutmeg/clove) and other scented ingredients. You can drink it straight or with crushed ice usually after a meal as a digestive. It is often used in combination with other drinks, so as to give a scent to coffee, foods and sweets.